Josh Charles played dashing attorney, Will Gardner, on CBS legal drama, “The Good Wife,” until his dramatic demise in Sunday’s episode. At this point, I need to say the obvious: This column is not for huge fans of CBS’ “The Good Wife” who still have Sunday’s episode racked up on their DVRs awaiting their witness. Those fans somehow still in the dark have a prime-time earthquake ahead of them. Spoiler, then, doesn’t quite cover this column. 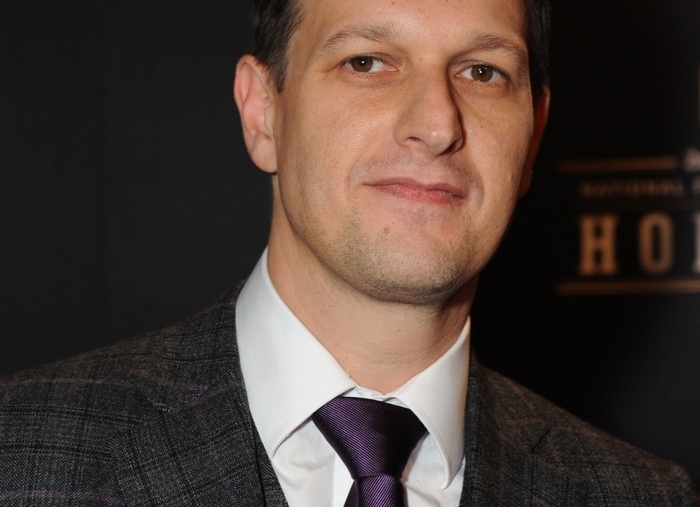 Charles is the actor who, until Sunday night, played Will Gardner, the male tent-pole character of “The Good Wife.” While Chris Noth continues to play the gubernatorial husband of Julianna Margulies as Alicia Florrick, the “good wife” of the universally praised show’s title, Noth’s screen time always has been a fraction of Charles’ as Will, the devious and combative lawyer who, until this season, was Alicia’s boss and smoldering romance. And that’s the point. Charles couldn’t have been more accurate on fans being upset and angry about it. In our new informational age of 24/7 Internet venting, social media blew up Sunday evening with expressions of ire and grief when the show had Will shot to death in court by a mentally unstable client he was representing. Some credit is due everyone in the cast and crew of “The Good Wife,” not to mention CBS. It’s true that when CBS sent around two episodes of the last story arc of “The Good Wife,” the network announced that the third – not sent out – would be a doozy and a water cooler jamboree. But there was no inkling of why. Or that one of the tent-pole characters from its very first show would be disappearing. But, according to Charles and his writer/producers, Robert and Michelle King (who created the show), it has been in the works since last year. According to Deadline.com, Charles’ contract was up then, and he wanted to move on. But he was pressed into service for 15 more episodes while they figured out what to do about his departure. In a statement about Will’s death, the Kings said that “the brutal honesty and reality of death speaks to the truth and tragedy of bad timing for these two characters (Will and Alicia). … These turning points keep the show from slipping into numbing sameness and keep the characters fresh. And that addresses a huge major question about “The Good Wife” that I’ve had since 2012, to wit: How would the suicide of co-executive producer Tony Scott – who jumped to his death off a highway bridge in San Pedro, Calif. – affect the show? It never seemed likely to me that such an important death at the top of a TV show hierarchy wouldn’t be reflected eventually in its plotting. And that’s why the death of Will – and the disappearance of Charles from the cast – was handled with truly astonishing secrecy, considering how many people knew what was coming. Even “Late Show with David Letterman” – where Charles scheduled a Monday appearance to chat about it all – was in on it without launching the slightest seismic tremor in the prime-time TV landscape. Actually, then, it’s a rather significant fact about the current media landscape: that even in a showbiz subject as swarmed with reporters and commentators as prime-time network television, everyone can still be blindsided by a little Sunday night earthquake (say 4.5 on the Richter scale). That’s certainly true of Dan Bucatinsky, the writer/actor who played James, the press secretary and husband of Cyrus (Jeff Perry) on Shonda Rhimes’ “Scandal” who was shot to death two weeks ago for telling tales out of school. But crazy weekly instability and upheaval has become the stock-in-trade of “Scandal” – which keeps us watching through weekly nervous breakdowns and outrageous plotting. Even a major character killing a minor one is SOP for the show. Haven’t we, after all, already seen a sitting vice president murder her husband for having an assignation with the just bumped-off-press secretary (before he got the gig?). And didn’t we watch the president, in the hospital room of a dying Supreme Court justice, cut off her air supply and send her prematurely to her eternal reward? What the Kings have indicated to others so far is that after all the trauma, they’ll goose the humor on the show a bit for the rest of the season. Michael J. Fox will be back as the comically slimy attorney who never fails to use his physical condition for strategic advantage. Stockard Channing will return as Alicia’s comically outspoken mother. And Dylan Baker will be around as the show’s macabrely witty serial killer. They’re going to need every laugh they can find from each and every one, believe me. The prospect of Alicia and Diane Lockhart (Margulies and Christine Baranski) going through the rest of the season in full pitch of grief is a lot to ask both the show’s writers and cast members to bear. But then if you’d asked me a week ago, I’d have said the same thing about keeping the death of a major prime-time series character a complete secret, too. The Kings are very clever people. I put nothing past them.